Poisoned Pen Press, 9781492656500, 400pp. At fourteen, Alice Hill was viciously attacked by two of her classmates and left to die. 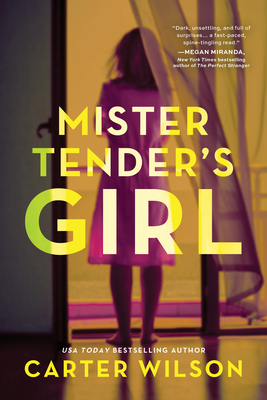 The teens claim she was a sacrifice for a man called Mister Tender, but that could never be true: Mister Tender doesn't exist. His sinister character is pop-culture fiction, created by Alice's own father in a series of popular graphic novels. Inspired by the Slender Man crime, this gripping thriller plunges you into a world of haunting memories and unseen threats, leaving you guessing until the harrowing end.